So here’s an easy ukulele tutorial which includes lyrics, chords and tab for a Welsh folk song called The Ash Grove, one of the songs in our upcoming book 21 Easy Ukulele Folk Songs! To begin with, you’ll need six chords to play The Ash Grove on ukulele – C, Dm, G7, F, G and D7. In case you’d like to learn an easier two-chord folk song, watch this Li’l Liza Jane ukulele tutorial. Jenny presents three ways to play The Ash Grove. First of all, you can do the standard play-along version. You sing the lyrics and strum the ukulele in time with the song. Secondly, you can sing the lyrics and do a fingerpicking accompaniment. Instead of strumming, you fingerpick the chords. Finally, you can fingerpick the chord melody (also known as solo ukulele). This last one is perfect for those who don’t like to sing. Jenny usually conducts a Facebook Live lesson for each new video tutorial. So don’t forget to join us on Facebook. 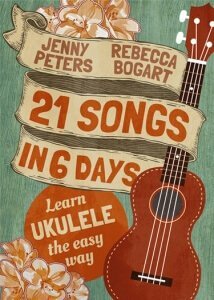 Tune in on Thursday for Jenny’s live The Ash Grove ukulele tutorial. If, however, you missed the live session, just visit the videos section of Facebook for the recording that you can watch anytime. Also, we send notifications with sheet music of new videos weekly so subscribe here and you won’t miss these ukulele music newsletters. 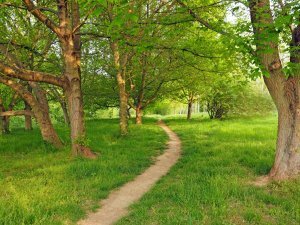 According to historians, the melody for The Ash Grove or Llwyn Onn in Welsh was first published in 1802 in a book called The Bardic Museum. Many other songs have used this popular melody, with some of these even older than The Ash Grove. To name a few, here are three hymns that have used this tune: The Master Hath Come, Let All Things Now Living and Sent Forth by God’s Blessing. Although the melody was first published in 1802, a later version of Llwyn Onn which included lyrics was published four years after. This version talks about a tragic love story where the girl dies at the end of the song. As for the English version, Thomas Oliphant’s translation in 1862 was the first one. Also, John Oxenford, an English playwright and translator, had another interpretation of the Welsh version. Hence, he had different set of lyrics. Jenny sings Oxenford’s version in the video.